Oregon's Willamette Valley is well-known, and rightly so, for its Pinot Noir, but that's not the only grape that thrives in Oregon's sunny, warm summers and fall weather cooled by the sea air blowing inland over the mountain passes. Pinot Gris has found a definite home in Oregon, with the unique qualities of Oregon's climate and soil creating a unique style of Pinot Gris that showcases its medium-bodied, well-balanced acidity with light crispness. Oregon's Pinot Gris pairs easily with food, and also does well on its own. 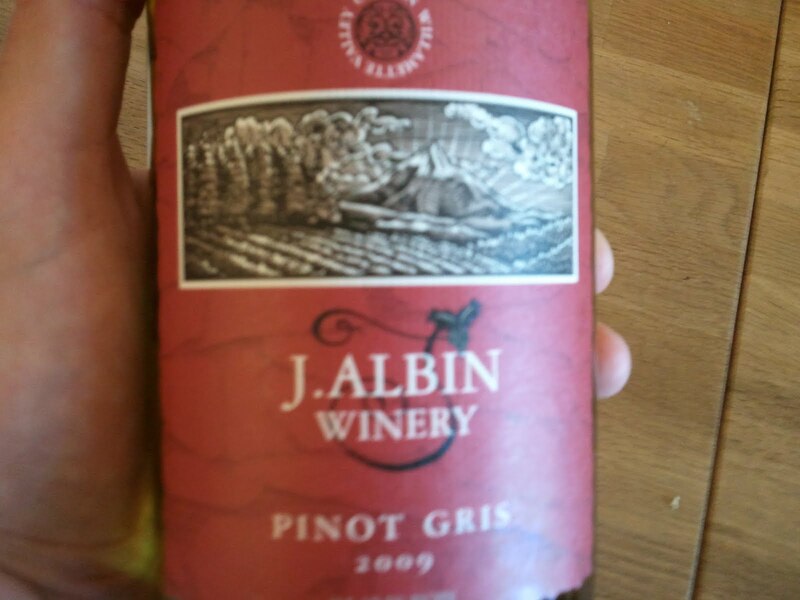 This week's Friday Find is the 2010 J. Albin Winery Pinot Gris. This Willamette Valley wine is a beauty. It's lovely and crisp, with good acidity and balance. There are characteristic Pinot Gris peach and melon notes on the nose and honey and melon on the palate. The wine has great color in the glass and drinks easily. 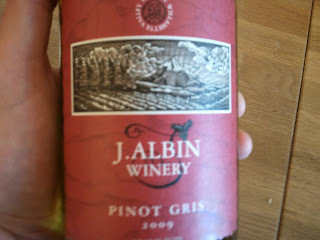 John Albin has done a nice job with this private label wine, and at around $15, this wine is a screaming deal.